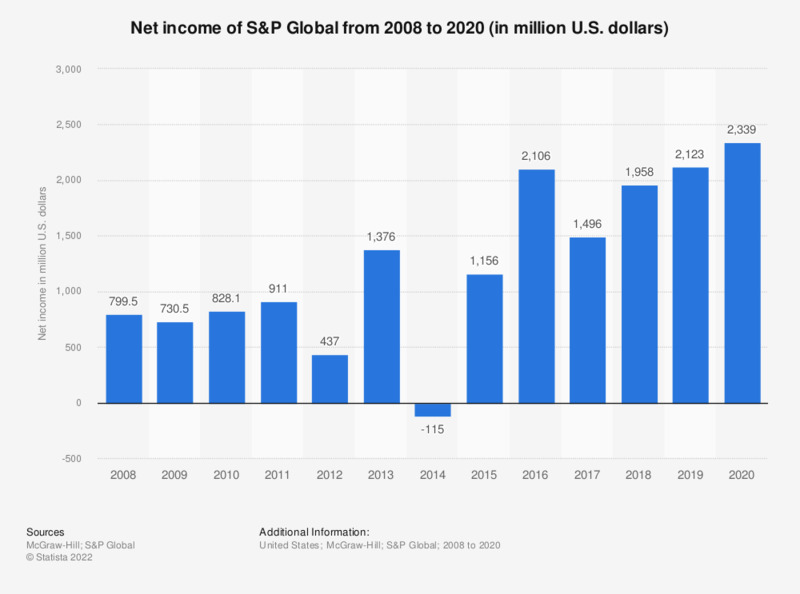 This statistic presents the net income of S&P Global, formerly McGraw-Hill Financial, from 2008 to 2018. In 2018, S&P Global reported a net income of approximately 2.0 billion U.S. dollars. In April 2016, the company name changed from McGraw-Hill Financial to S&P Global.